The abode of gods is dotted with one place after another each with mythical and religious connotations. Uttarakhand is the sacred destination that Hindus must visit at least once in their lifetime, if not for all the places, at least for the four holiest of holy places: Chardham. The abode of Gods, Uttaranchal, abounds in places associated with legends, myths, spiritualism and spirituality. 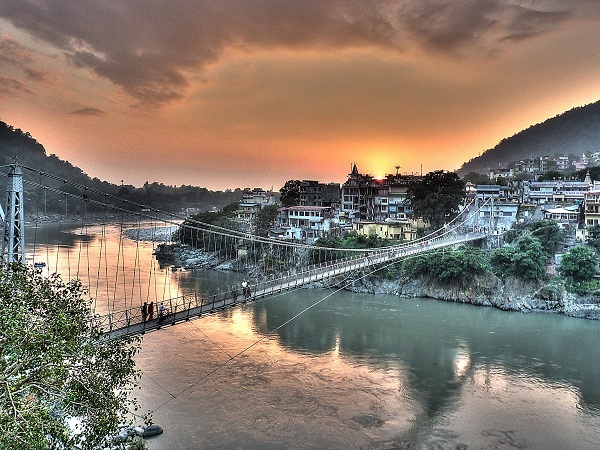 Located in the North, Uttarakhand nestles in the lap of the mighty Himalayas towering in majestic splendour at one side, playful rivers gamboling down to undulating slopes of the countryside on their journey to the seas. You have forests and valleys, deep perilous gorges and everywhere you go, you come across temples and holy places. Traversing the land itself gives you a sense of spiritual fulfillment. Chardham tour comprises of visit to Yamunotri, Gangotri, Badrinath and Kedarnath, a pilgrimage that is a rite of passage for all devout Hindus. Some may prefer pilgrimage to the Panch Kedars, or abodes of Shiva, Kedarnath, Tungnath, Madhyamaheshwar, Rudranath and Kalpeshwar. Others may be more interested in the Panch Badris made up of Badrinath, Adi Badri, Bhavishya Badri, Vridh Badri and Yogdhyan Badri. While you undertake any of these pilgrimages you will want to take a trip to Kailash Mansarovar, Haridwar, Hemkund Sahib and Devprayag. 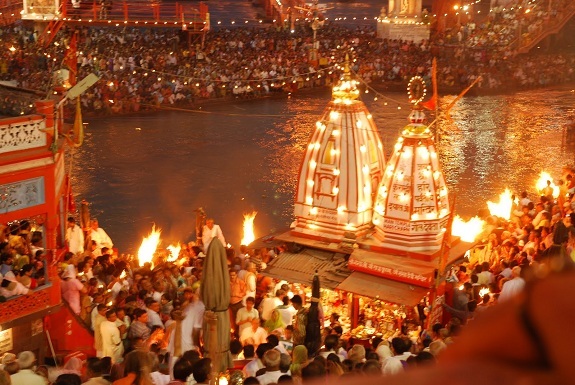 The journey undoubtedly starts at the gateway to Gods, Haridwar, the holiest of the holy places where a dip in the Ganges at Har Ki Pauri washes away all Sins and prepares you for your onward pilgrimage to even more sacred abodes of the Gods. Haridwar is referred to as Gangadwar and Mokshadwar, made sacred as Garuda let fall a drop of nectar he was carrying to the Gods. Hindus may not be able to visit the original Chardham spread in the four corners of India but they surely undertake a trip to Chardham in Uttarakhand comprised of Yamunotri, Gangotri, Badrinath and Kedarnath. A pilgrimage washes away sins and frees you from the unending cycle of birth and death. The first place to visit is Yamunotri, the source of the River Yamunotri where a temple is dedicated to Maa Yamuna. It involves a 6 km trek from Hanuman Chatti or 4 km from Janki Chatti. From here pilgrims move on to Gangotri at a height of 3048 meters for a darshan of Maa Ganga at the famous temple here. It is said Ganga, in all her playfulness, descended to Earth unaware of the havoc she would cause and Shiv, knowing this, received her in her matted locks. The River Bhagirath has its source here. You go on to Kedarnath at a height of about 3584 meters, one of the Jyotirlingas of Shiva. A small temple dedicated to the Lord sits next to the Mandakini River. The last stop is Badrinath to worship Lord Vishnu at his shrine next to the Alaknanda River. These places are accessible only during the summer months of May to September end. Shiv Bhakts or devotees of Shiv can focus exclusively on visiting Shiv Temples in Uttarakhand, the most famous of which is Kedarnath, one of the 12 Jyotirlingas in India. Tungnath is next. The temple here is the highest of Shiv temples and is located in Rudraprayag at a height of 3680 meters near Chandrashila Mountain. The temple is believed to be over 1000 years old and has connection going back to the times of the Mahabharata. Rudranath in the Garhwal region, is another Shiv temple at a height of 3600 meters, the outstanding feature of which is that here devotees worship him in the form of Nilkantha Mahadev. Madhyamaheshwar comes next on the pilgrimage. At a height of 3497 meters, the temple’s notable feature focuses on the belly of Nandi as a manifestation of Shiva. This temple too has links to Pandavas of Mahabharata fame. Last in line is Kalpeshwar at a height of 2200 meters in the Urgam Valley, again linked to Mahabharata. Here devotees worship the Jetta or locks of Lord Shiva, a reason why he is known as Jatadhari here. Apart from these five dhams, devotees also make it a point to visit Jageshwar, the site of a number of ancient Shiv temples. 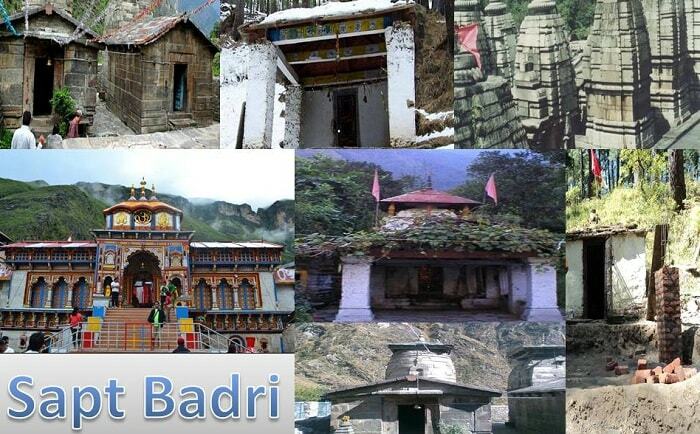 Devotees of Lord Vishnu make a beeline for the famous Badri temples in Uttarakhand of which there are seven with people usually visiting five. The famous five are Badrinath topping the list, Adi Badri, Vridh Badri, Dhyan Badri, Ardh Badri, Bhavishya Badri and Yogdhyan Badri. Devotees start at the most famous temple of Lord Vishnu at Badrinath in Chamoli, said to have been established by Adi Shankar, depicting Vishnu in the form of Nar-Narayan. Adi Badri is where it is believed Lord Vishnu resided in Satyug, Treta yuga and Dvapara Yuga after which he shifted residence to Badrinath. Adi, here means ancient and it is believed Ved Vyasa wrote the Maha Purana at this place. Vridh Badri is in Animath village where it is said that Lord Vishnu made his appearance as an old man and the temple also depicts him as an aged deity. Dhyan Badri is on the banks of the Alaknanda River near Helang Chatti, with a black stone temple showing the Lord lost deep in thought or Dhyana. Ardha Badri is rather remote, on the Joshimath Tapovan road, with a small idol due to which it is known as Ardh or half Badri. Bhavishya Badri is interesting in that legend states that two mountains near Badrinath will become one in the future and that the Lord Badri will be worshipped only at this place. Yogdhyan temple is where King Pandu meditated on Lord Vishnu hence this name. Hinduism is not just about worshipping idols as the physical manifestation of God in his various forms; it is also about elements of Nature. It is believed that where there is a confluence of rivers, the place becomes sacred and Hindus have always worshipped such confluence. In Uttarakhand you will find five such sacred confluences, starting with Vishnuprayag. Vishnuprayag is the confluence of Alaknanda with Dhauliganga. Alaknanda itself joins with Saraswati River before joining the Dhauliganga and it is believed that Narada worshipped Vishnu at this place where you find a temple dedicated to Vishnu. Nandaprayag is where Nandakini meets the Alaknanda in the Garhwal region. King Nanda offered oblations to God and was blessed with a son to his wife Yashoda, in the form of Lord Krishna whose idol graces the temple. Karna Prayag is the confluence of Pindar and Alaknanda below Nanda Devi hills, a place where Karna of Mahabharata prayed to the Sun God and was granted his wishes. Hence the name and pilgrims can still see a stone seat where it is belied Karna carried out penance. The temple here has deities of Uma Devi, Parvati and Ganesh in addition to that of Karna. 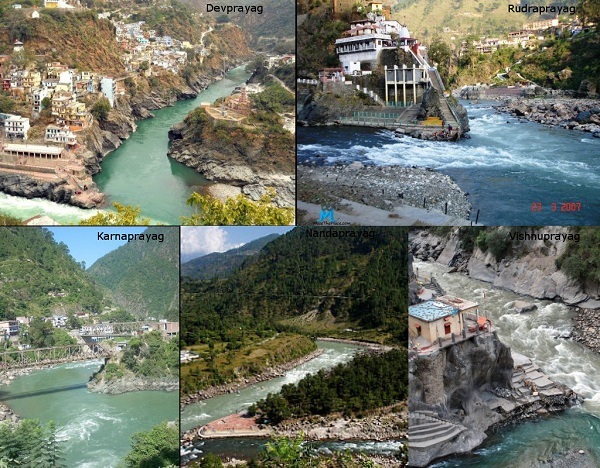 Rudraprayag is next, the place where Mandakini meets Alaknanda and is named after Rudra, meaning destroyer, another name for Lord Shiva, It is said Shiv performed the Tandava dance here, played the Rudra Veena, enticed Lord Vishnu and transformed him to water. The temple has idols of Shiv in the form of Rudra and Chamunda Maa here. Devprayag is the last, the place where Bhagirathi joins the Alaknanda, equivalent to the Triveni at Allahabad as regards holiness of the place. Rishikesh may not be as important as Haridwar or have the aura of piety as the various Dhams have but it is a uniquely spiritual town, home to Rishis and Munis since ages. Even today the city has the largest number of yogashrams in the country and is a place of pilgrimage in its own right. 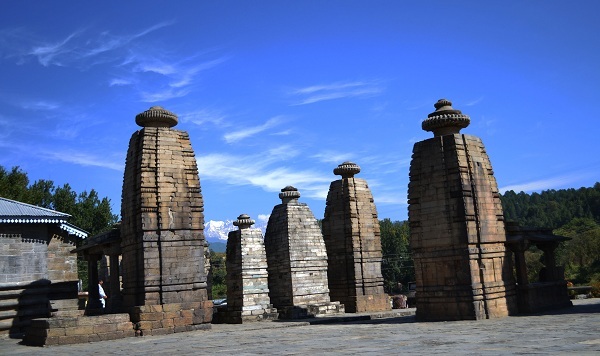 Baijnath in Bageshwar has a temple dedicated to Lord Vaidyanath, another manifestation of Lord Shiv. When you talk of Uttarakhand pilgrimage, you can never leave out Hemkund Sahib, one of the holiest pilgrimage places for Sikhs. Located in Chamoli, it has a gurudwara dedicated to Guru Gobind Ji, the tenth Guru. These are by no means the only holy places in Uttarakhand. Visit the various lakes and you will come across ancient temples with rich past going back into time. Uttarakhand is timeless. The wheels of progress march on but since millennia pilgrims have trodden difficult paths, worn down stones and endured hardships in a never-ending worship of the Lord in all his glorious manifestations.